Like it or not, Brooklyn is still the Mecca of eclectic musicians in States. 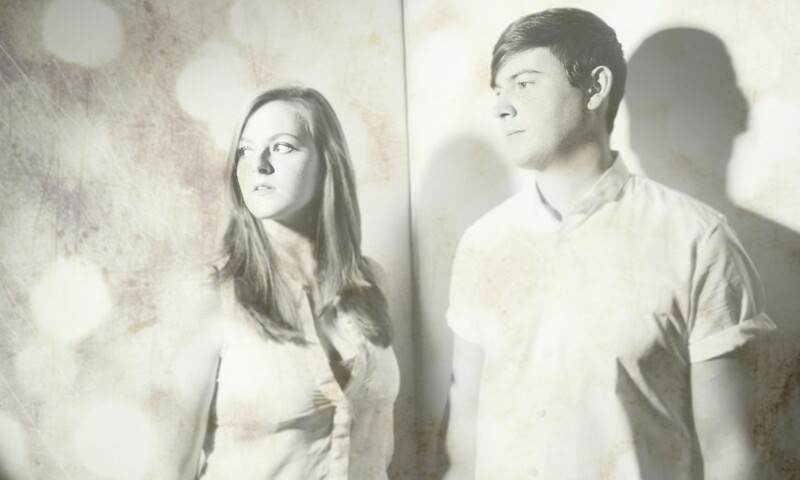 Following the foot step of interesting upcoming musicians from Brooklyn is Paperwhite, a dream pop duo that consisted of siblings Katie and Ben Marshall. Mixing a lush production of synth-based melodies and beautiful vocal, the duo are succeeded to bring shimmering sounds of modern pop with slight hint of nostalgic retro and a warm feeling of Summer days. Hi Katie & Ben, how are you? Where are you right now and what were you guys doing before answering this email? Katie: Hey! We are currently at Ben’s apartment in Brooklyn. We just had a great rehearsal down the street where we were preparing some of our new music for our live set! It’s finally feeling like summer over here, so we took the long way home, got some ice cream and enjoyed the sun! As siblings, do you always know you’re gonna make music together? And what really prompt you to finally do it? Ben: We have always known that we would work on music together because we have been collaborating for years but the exciting part is that we had no idea that we would find a style of music in which we could both take a lead. While writing some of the first Paperwhite’s songs, it finally felt like we had a path for our collaborations to take off. Once we felt that synchronization, we knew we had to stick with it! Where were you guys grew up? What were you listening to back then and how do you think its influence your music in Paperwhite? Katie: We grew up in Pennsylvania, outside of Philadelphia. There is a three and a half year age difference between us (Ben is older), so at times we were listening to different types of music but we both have drawn a lot of inspiration from bands through different decades. Some include bands like Tears for Fears and Wilson Philips to Motown artists and even more modern bands like The Postal Service. I know that previously Ben is also with Savoir Adore, how about you Katie? What were you doing before Paperwhite? Katie: Before Paperwhite, I was a student at Berklee College of Music, which is also Ben’s alma mater. At the time, I was focusing on songwriting and performance. Once I graduated in 2013, it allowed Ben and I to focus on Paperwhite. The ideas and music have been blossoming ever since! Ben: Well, this is kind of a two part story. During Katie’s senior year at Berklee, she wrote a song called “Paperwhites.” She was working at a flower shop and was inspired by the paperwhite flower. So when we were coming up with a name for the band, it was already kind of in the back of our heads. One day we posted a clip of the song on Instagram and hashtagged it #paperwhite and a friend of Katie’s commented that he liked our new band name. So even though it was just an accident, we decided it was a sign and went for it! How was the creative process for two of you? Katie: Ben typically takes on the role as the producer/arranger and I typically focus on more songwriter duties like melody, chords, and lyrics. It has worked out well because our weaknesses are each other’s strengths. Our goal is to make well-structured songs that create a certain mood whether it’s to dance or to feel a particular emotion. What is the story for your latest single “Magic” and how do you feel about the response so far? Ben: The idea for “Magic” came to us on Jan 1, 2014. Looking back now, it feels like such an indicator for the year. We started off strong which is inspiring to us. We are very grateful and thrilled with the response from “Magic”. It has shown us that we are heading in the right direction! How was your first live show? Do you have any challenge to bring you music in live perform? The live show is always evolving. So yes, the first show was an experiment, but it was a successful one. There are definitely some tricky things to figure out in terms of getting the recordings into a live set, but it just gets better and better each time we play out. Could you spill some info about upcoming release? Is it gonna be EP, single, or maybe an LP? For now we are sticking with singles… but there just may be an EP sooner than later. How do you think about Brooklyn’s music scene nowadays? We are very excited to be a part of the Brooklyn music scene. Our peers and mentors are all in the same area and are doing amazing things and releasing awesome music. The sense of community and comradely here is wonderful. We feel that Brooklyn has a lot more talent coming its way! The next goal is to bring our listeners more music and hopefully with that start playing outside of NYC. We would love to tour sometime in the near future!